You are here: Home / Announcements / Classic Mini For Christmas? With Christmas fast approaching, how would you like to acquire a Classic Mini that you can build yourself? The folks at Lego have made the perfect stocking stuffer. 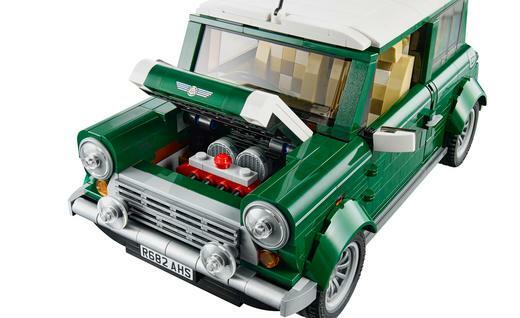 The latest slice Lego buildable hotness is an almost absurdly detailed as a real classic Mini Cooper. The small Mini is created using nearly 1,077 pieces to be exact. That was by design, however, the Lego team wanted to celebrate the real Mini’s clever space efficiency by cramming as much detail into the Lego version as possible. 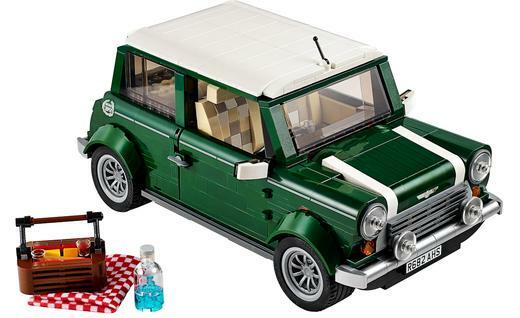 There’s a spare tire, a miniscule 1.3-liter four-cylinder, and even a little picnic set in the boot of the British Racing Green Mini. The kit hit stores on August 1, 2014. Pricing is a cool $100.